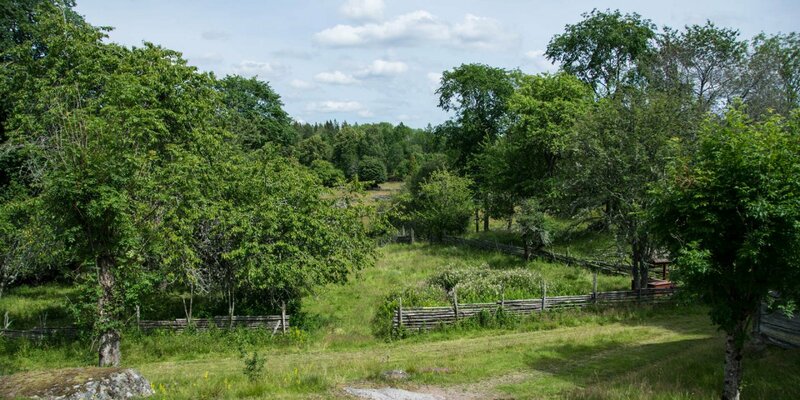 The farming village Visböle By near Vena, about 8 kilometers northeast of Hultsfred, is one of the few villages still preserved in its original state from the 18th century. 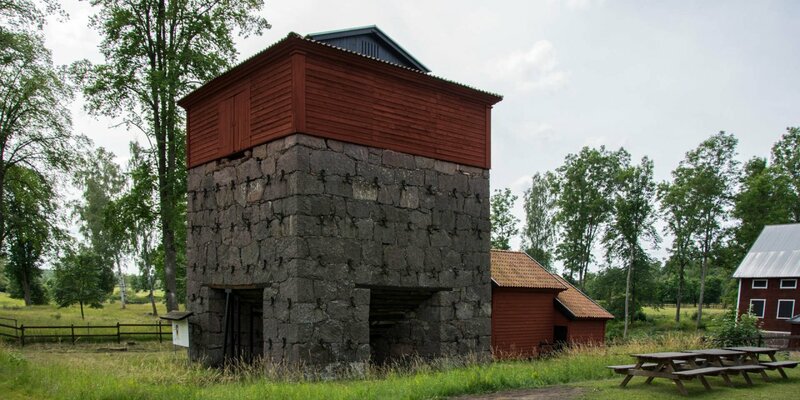 Thus Visböle By is a typical example of a rural settlement in Småland, as it was widespread in Sweden at the time of the predominantly peasant society before the beginning of the industrial age. The picturesque village is built on a hill and consists of six farms, whose oldest surviving buildings were built at the beginning of the 18th century. The dwelling houses are two-storey wooden building in typical red and white paint, which are surrounded by small gardens, all located on the south side of the village. Separated from the only small village street, the farm buildings were built just opposite on the north side to protect the dwellings from cold north winds and wild animals. 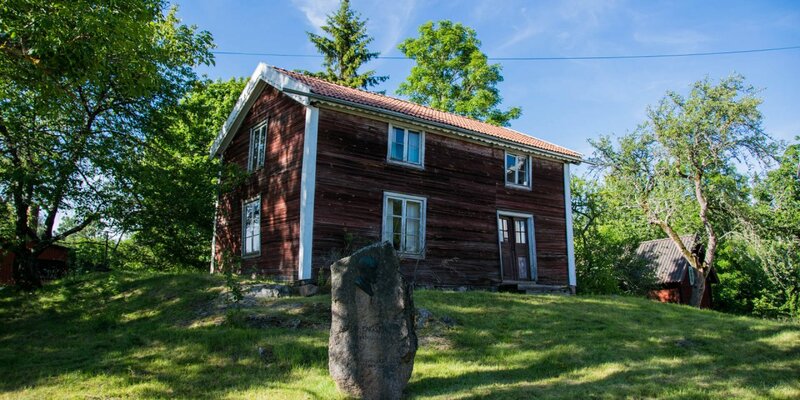 Not only the historic houses and outbuildings give the impression that the time has stopped in Visböle By. 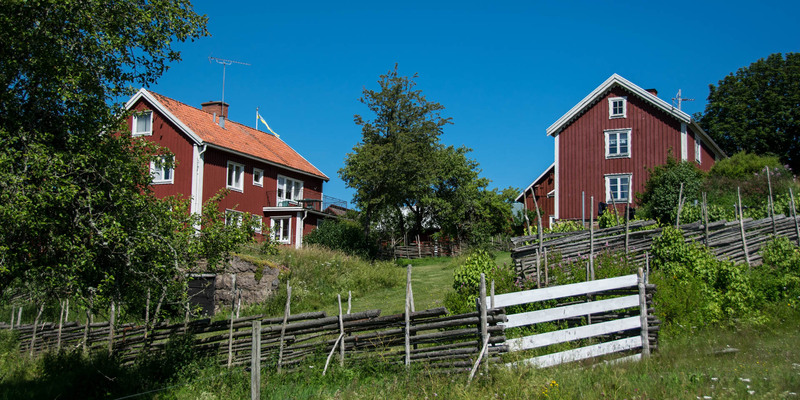 It is the overall impression, which includes the gardens with old fruit trees and the typical old wooden fences.